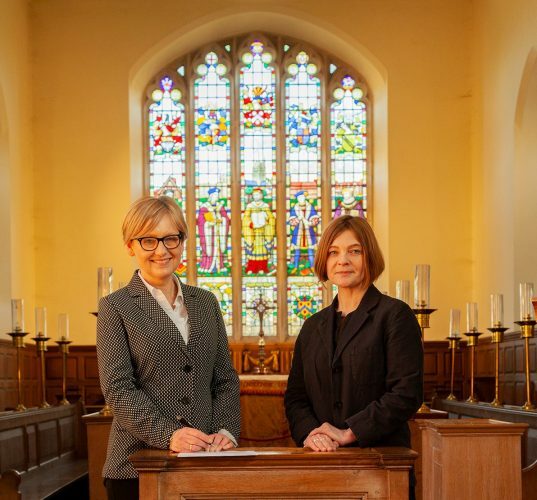 SARA Aspley, Stratford Town Trust’s Chief Executive, has signed a memorandum of understanding with the Departments of Archaeology and History at the University of York. 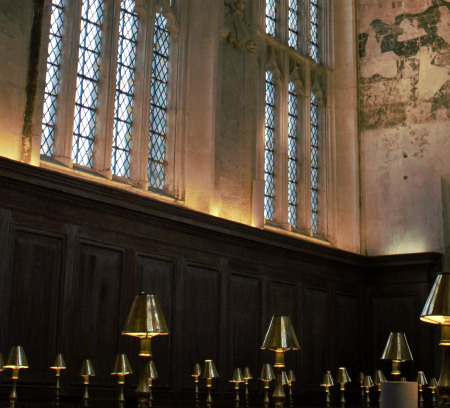 Dr Kate Giles and colleagues from the University’s Centre for the Study of Christianity & Culture have been working with the Trust for over ten years, researching the Guild Chapel’s remarkable surviving scheme of medieval wall paintings and their connection to the guild of the Holy Cross and adjacent Guildhall. This work underpinned the 2016 HLF-funded Death Reawakened project which conserved the Doom and other paintings, in partnership with architects Hawkes Edwards and conservators Perry Lithgow Partnership. The project was awarded the 2018 Sir John Betjeman award for conservation by the Society for the Protection of Ancient Buildings. Guild Chapel Volunteer Coordinator, Pippa Brook said, “Our work revealed tantalising glimpses of other paintings, such as the Dance of Death, currently hidden behind 20th century panelling in the chapel. Our volunteers and visitors are desperate to understand what survives and bring its story to life”. “The MoU will enable Stratford Town Trust to undertake further research and hopefully secure funding for the next phase of this exciting project with our University partners,” noted Sara Aspley. To read more about the Guild of the Holy Cross and its buildings, read The Guild Building of Shakespeare’s Stratford upon Avon, edited by Ronnie Mulryne and published in 2012 by Ashgate.